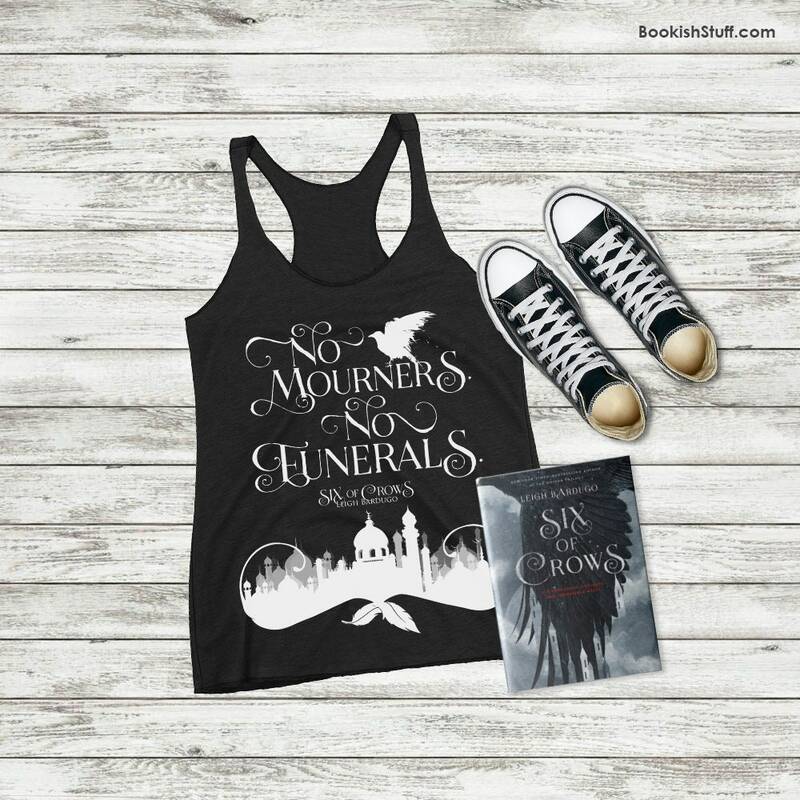 Six of Crows "No Mourners, No Funerals" quote tank top inspired by Leigh Bardugo Grishaverse Six of Crows book duology. 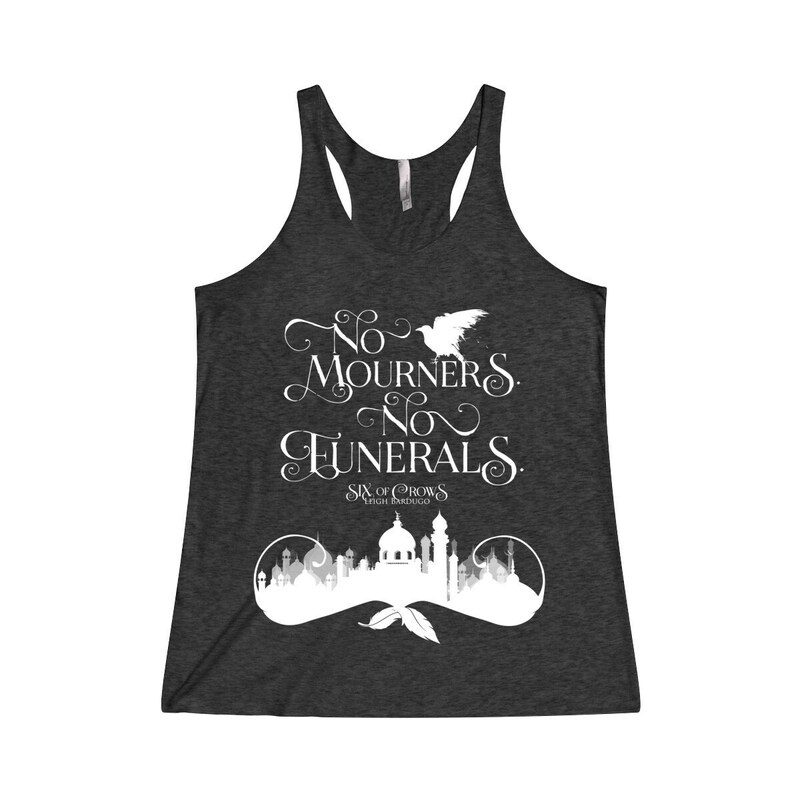 This tank top makes a perfect gift for any Grishaverse fangirl. 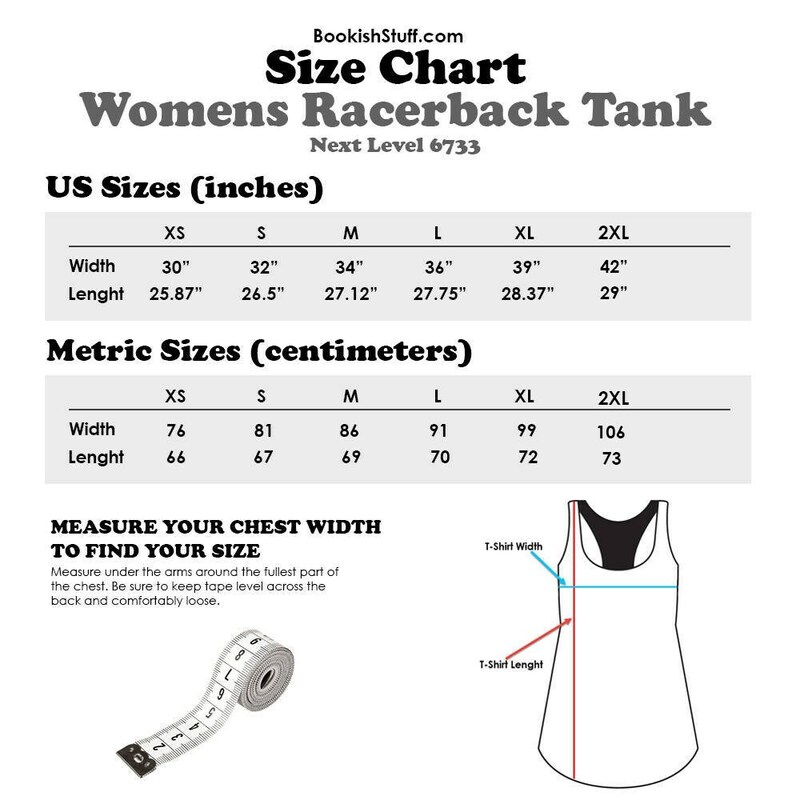 Available in Vintage Black, Vintage Royal and Vintage Navy. Love it! Runs a bit large, though.